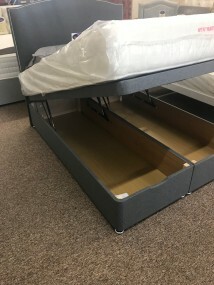 Sometimes it can be very difficult to find a bed to suit your particular needs, whether your looking for a guest bed to fit in a box room that does not allow for the length of a standard divan, or you need a king sized bed that will fit over some pipe work Nulux Hamiltons can help. Nulux Hamiltons bespoke design team can design and tailor make a bed to meet your needs, from order to delivery can be as little as 3 weeks* and cost much less than you might think. *depending on current workload, you will be advised of you delivery date at the time of order.